Need a last minute appetiser? This versatile recipe comes together in under 15 minutes, but looks and tastes like it took a lot longer. Wash peppers and pat dry. Cut each pepper in half lengthwise, leaving the stem intact. Remove seeds and membranes from each pepper half and discard. Set aside. 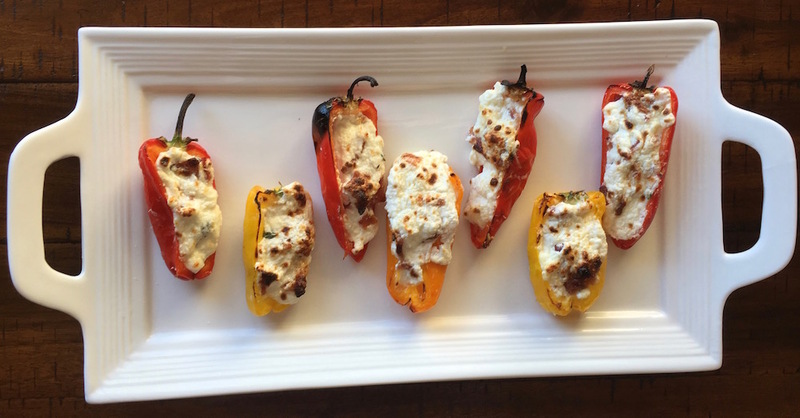 Grill for approximately 5 minutes or until the cheese begins to brown and peppers start to blister. Remove from oven and place on a serving plate. Serve immediately.